Christine Far opened the Village Production Studio in 1993. As director, teacher and choreographer she utilized local talent, students and volunteers to create over 20 original dance theater productions until her departure in 2005. Village Production is alive and well today in thanks to Christine and her many talents. Since the beginning, Village Productions has provided a variety of services for people in the greater Amesville area. Village Productions offers classes, workshops, special events, concerts, and lectures. We open the facility for use by supporters and the local community. Classes are provided in movement, crafts, music, dance, yoga, and more. They are structured to have an experiential component, and are taught by local artists and professionals. They strive to connect children and adults to their personal awareness and hidden talents. Special events, lectures and performances bring together the people that live in and around Amesville. The hope is to create new relationships, entertain people with novel presentations, and build a sense of community that will carry over into all aspects of civic engagement in the area. By offering recreational and cultural opportunities for children in rural Athens County, Village Productions believes we can introduce a diversity of new ideas and experiences to those children. We believe those experiences will build skills, self esteem, knowledge about their local and global culture, and a strong connection to the Amesville community. Village Productions' mission is to provide learning opportunities through the living arts. 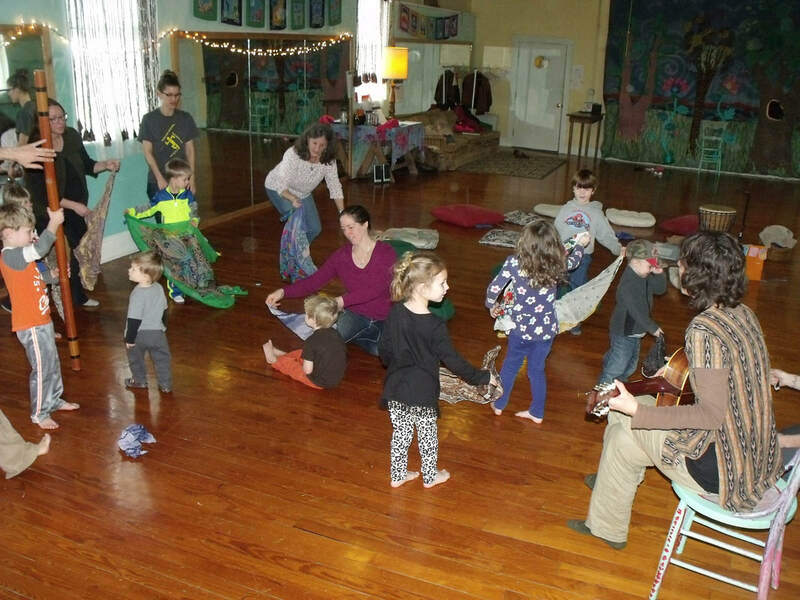 Our goal is to create classes and programs in movement, music, crafts, nature, ecology and life skills that support healthy development of children, families and individuals. Our objective is to support and strengthen the Amesville community. Village Productions (VP) is a private, non-profit community-based organization. It has three major program sections: Children’s Programming, Adult Education, and Community Events.